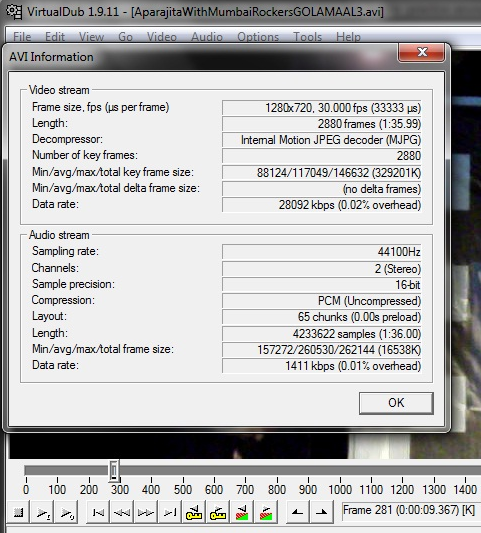 VirtualDub is a freeware utility for video capturing and processing. It editing capability may not be as powerful as of some premier video editors like Adobe Premiere but it gets its work done nicely for fast linear operations over video. It is specially useful when you want to make some minor changes to your video and don’t want to settle with a complex video editing software. Virtualdub is portable and doesn’t require any installation, it can be downloaded quickly as a zipped file and can be moved to any computer. Its interface is simple and user friendly, even if you are new to video editing. This program is mainly geared toward processing AVI files and is not compatible with many video formats which may be annoying for users at times but all in all it is a tiny application for video editing which makes your work simple. Various new features are added in this version like option added to store configuration files under the user profile, option added for fully buffered write I/O, preferred fccHandler supplied by input plugins is now also passed through to output files, relaxed size restrictions on MJPEG decoder since a more flexible conversion blitter is now being used etc. Many bugs have been fixed like bug that caused occasional truncated audio when writing segmented is fixed, .Exe manifest embedding error is fixed, logic errors in HSV adjust and emboss filters has been fixed and much more. You can capture video with Virtualdub by setting it on video capturing mode. It is embedded with very good features like you can set frame rate which can also be in fractions if you want, there is histogram for input level monitoring, integrated volume meter, real-time downsizing, noise reduction, optimized disk access, verbose monitoring, keyboard shortcuts for faster operation, vertical reduction, cropping, you can set custom format, you can set levels, timing graph, real-time profiler, raw audio capturing, enable multisegment capture and much more. 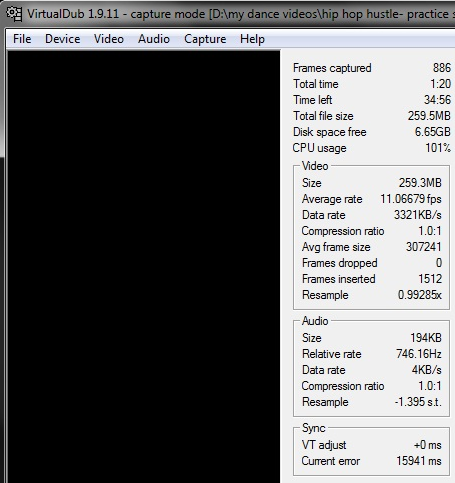 When you you capture a video with virtualdub, it side by side tells you about CPU usage, free disk space, relative audio rate, frames dropped, frames inserted, data rate, compression ratio, VT adjust, current error, total time etc. Virtualdub can be a great video editor as it has both pre and post processing tools. It has amazing editing features like inbuilt MPEG-1 and Motion-JPEG decoders, it reads and writes AVI format, multiple filters, it has ability to remove as well as replace audio tracks without doing anything to video, it can delete segments of video file and save the rest without recompressing, it can adjust frame rate, it can both decompress as well as recpompress both audio as well as video. You can also take an already captured clip and edit it as per your requirement. Virtualdub has more than a dozen filters which process the data stream plus it has capability to plugin filters which makes this application more popular. You can apply any of the filters and edit or capture the video according to your requirement. Virtualdub is quite fast, it will quickly convert a compressed MPEG-1 file to an uncompressed AVI file, all you need to do is open a video file and save AVI file. 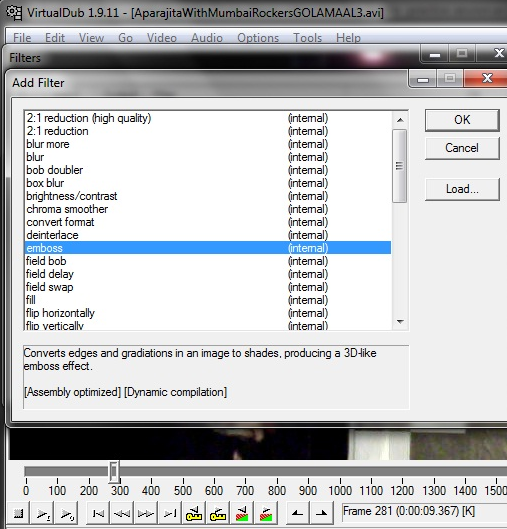 It does that at a fast speed of 40 frames per second normally which can be increased with some settings. Virtualdub is a portable zip file which you don’t need to install. You can transfer it to another device and run it without much hassle. VirtualDub has the capability to load third-party DLLs that include their own filters means a filter SDK is available to create your own audio and video filter as all such filters could not be integrated in the original application. SDK is a software development kit which enables you to create your own software and extend the current one. This is a wonderful feature as you can attach any of your favorite audio and video filter whenever you want.